we are the browns: twelve dates of christmas | a christmas tree. twelve dates of christmas | a christmas tree. on our first date of christmas, we decked our halls! 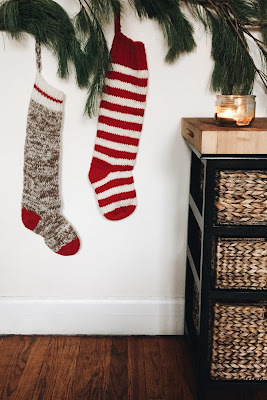 with great ceremony -- striped socks and eggnog and christmas vacation on a loop -- we trimmed our tree and hung our stockings. and with that, this wee treehouse is ready for all things christmas and cozy. Oh goodness!! I love this idea! Such a sweet way to celebrate the season. Mind if I borrow the idea?! Your blog always brings so much joy to my day, Thank you lady! please do!! it's been really fun to think of festive date ideas and most all of them are low-key/inexpensive (look at holiday lights, see an old holiday movie replaying at a local theater, shop for others + stop for dessert, etc). happy planning!